Country Club Hotel Dubai is the perfect destination in itself for all the guests to enjoy the best international experience of their lifetime. The locations that Country Club India chooses to establish their property is phenomenal for their special characteristics that are well known around the party circles and the tourists all around the world. The popularity of this esteemed clubbing network is well known for its several world class facilities that are perfect for the whole family entertainment and for the business get-togethers too. 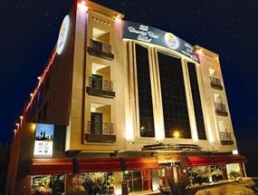 Country Club Hotels Bur Dubai is a perfect international getaway amongst all the Hotels in Bur Dubai. Located in one of the most accessible locations among all the Hotels in Bur Dubai, Country Club Hotels Bur Dubai is perfectly located within proximity of airport, shopping malls, business centers and other facilities that are perfect for a travelers needs.